Welcome to Calgary, the first city in Canada to host the Winter Olympics and the home of the 'Greatest Show on Earth' aka: the Calgary Stampede. Set at the meeting point of the Bow and Elbow rivers, Calgary is neatly nestled in the prairie lands and foothills of the Canadian Rockies and is not only Alberta's largest city but also linked to Scotland's Isle of Mull, from where it gets its name. 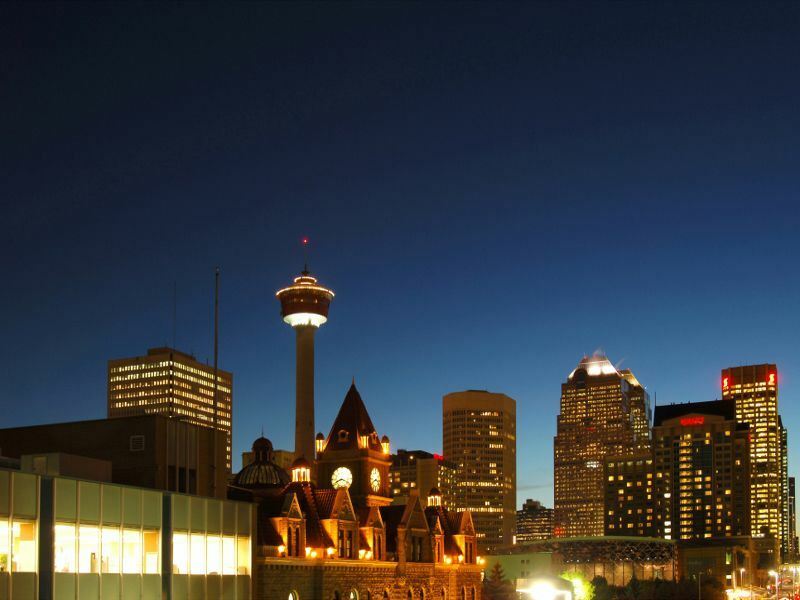 If you're looking for things to do as a couple, group of friends or family then Calgary is jammed packed with good old fashioned fun and games with plenty of heritage and outdoor activities and attractions to keep your whole gang whooping from morning till night. Below are 10 of Calgary's most popular and worthwhile things to do and if you're looking for a few more then head over to Cowtown and don't forget to write us a postcard. 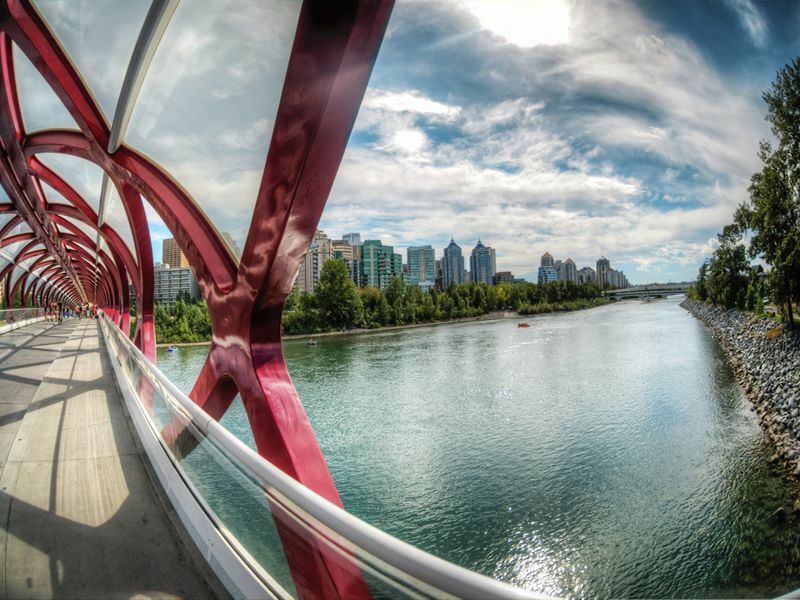 Where: Occupying the space where 9th Avenue connects with Centre Street, Calgary Tower's downtown setting is just perfect for making the most of those city sights as well as, on a clear day to the west, Canada's awesome Rocky Mountains. Note: approach the entrance from 8th Avenue to avoid the less touristic 10th Avenue district and railway tracks. What: Spiralling upwards to well over 600 feet, Calgary Tower is a free standing viewing tower and although not the tallest in Calgary, views are still pretty impressive from the top. Built in the late sixties and commanding a $3.5 million price tag, this is one of Calgary's most iconic buildings and although not quite as impressive as some - cough Toronto's CN Tower cough – it's still well worth at least a few photographs after ascending via a couple of lifts. Highlights: The revolving bar and restaurant at the top of the Calgary Tower is ideal for taking your time to enjoy the city surroundings down below and if you're feeling a little bit brave then there's a glass floor extension on the 360degree observation deck, just for those who like to go all out. Where: Located on the corner of 54 Street and 76th Avenue in Southeast Calgary, the Alberta branch of the Big Rock Brewery has become one of Western Canada's best known breweries and about a 50 minute ride from the EB Centre Street Ctrain Station in the downtown district. What: Named after a massive chunk of glacial rock situated just outside of Okotoks about 10 miles south of Calgary, this is a traditional brewery that was founded in 1985 and now offers regular factory tours and tasting sessions that last around 90 minutes. Highlights: The beer! From English style brown ales like Trad to low carb lighter ales, such as Jack Rabbit, this is one factory tour that never fails to hit the right spot. A good selection of samples and food help you get into the swing of things with tours of the bottling facility a real eye opener when it comes to finding out how things work. These guys really know their brews and listening to the passionate and enthusiastic tour guides is a highlight in itself no matter how much you've had to drink. Where: Thanks to the setting, at the confluence of the Bow River and the Elbow River, Fort Calgary is a really picturesque point of interest occupying some 40 acres just to the east of downtown Calgary. What: This is a wooden fortress that's open as a year round attraction filled with interactive exhibits and information relating to the North West Mounted Police. A well priced on-site restaurant adds to the allure of the history tour with helpful and friendly guides taking you back in time to when Mounties rode high and lived in barracks made from spruce and pine trees. 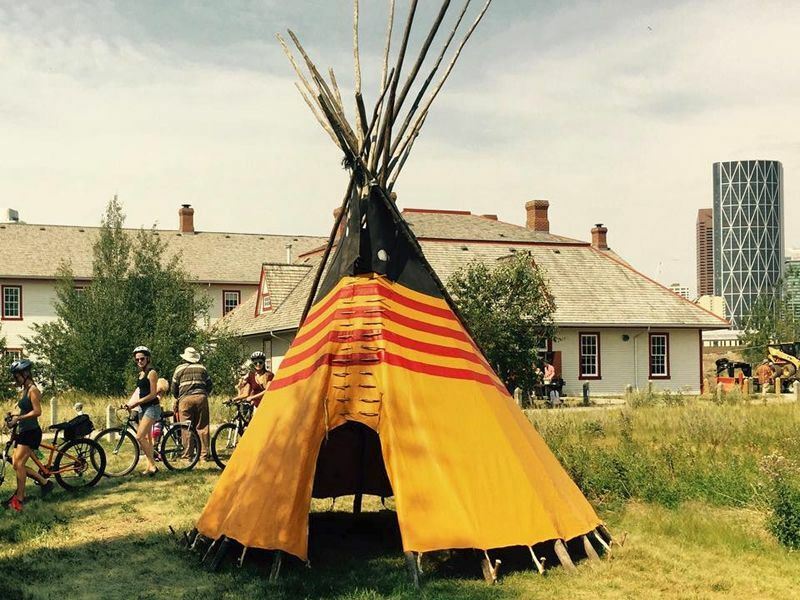 Highlights: Aside from the restaurant there are numerous seasonal and educational events taking place at Fort Calgary and if you've got kids then try to tie in a tour with an interactive session just to help ease your young Mounties into learning about the history of Canada. Where: Situated in the southern part of Calgary along either side of Fish Creek where the river flows all the way through the park whereupon it meets Bow River at its eastern edge. What: Just about one of the biggest darn recreational and natural parks in North America, Fish Creek Provincial stretches for some 12 miles and is certainly the largest of its kind in Canada. Bordered by Bow River to the east and Tsuu T'ina Nation reserve to the west, this is where you head to on a warm weather day in Calgary. Highlights: There's an extensive spider's web of footpaths and cycling tracks as well as facilities for day campers. There's over 200 different types of bird, including blue herons, and if you're lucky you might get to spot an owl, beaver or even a coyote – owhooooo! Sikome Lake is where the locals go to cool off in the summer and, aside from the swimming, you'll find a fine dining restaurant and Annie's Bakery, a must if you're in the mood for snacks, sandwiches and soups. Where: Head to western Calgary on the Trans-Canada Highway just to the west of Bowness and north of Cougar Ridge community. What: The national Olympic park is open to the public after it was used in the '88 Winter Olympics for the ski jump, bobsleigh and luge competitions. Although these facilities are still used by athletes for training purposes, the rest of the park is all about recreation with gymnasiums, health centres and mountain bike trails adding to the attraction during the summer. Highlights: There's an awesome stunt and track routes and parks for mountain bikers of all abilities as well as a lift that's fully equipped to take bikes to the top without having to slog it up on two wheels. Winter sports enthusiasts who don't want to stray too far from Calgary should certainly head to the Olympic Park with snow boarders finding the spines, handrails and tables in the terrain park about as good as it gets without travelling into the Rockies. Where: Head to the southeast corner of downtown Calgary on Saddledome Rise. What: The home of the Calgary Flames, the Hitmen and the Roughnecks, that's what! This is sporting stadia at its finest with NHL, WHL and NLL (the National Lacrosse League) all represented within almost 500,000sqft of playing surface and a capacity of close to 20,000. Highlights: Hearing that iconic ice hockey theme, the lights going on and getting ready to watch a rumble is just about as good as it gets for sports fans visiting Calgary. 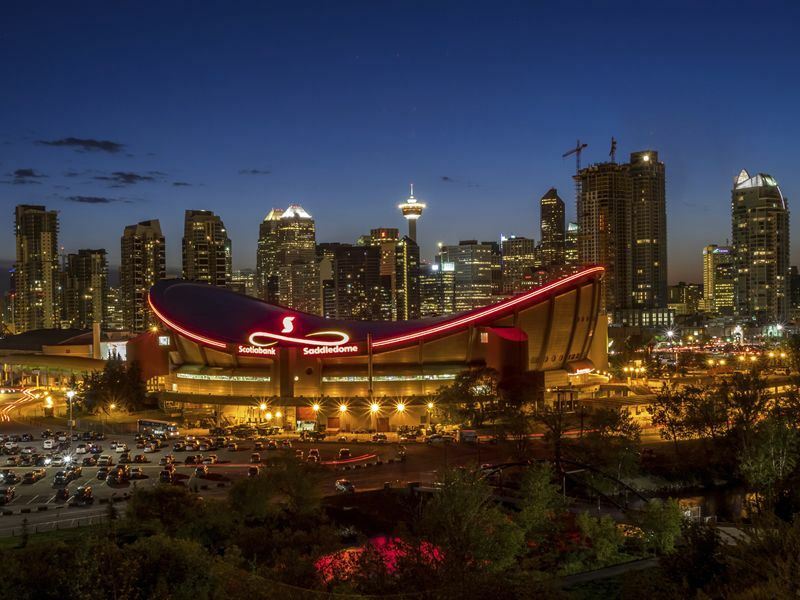 As one of the NHL's oldest arenas, the Saddledome is well worth seeing in its own right with behind the scenes tours, live music and marching band events making this an all-year-round venue, not to be missed. Where: The Palliser occupies a rather prestigious 9th Avenue SW downtown location, next to the Calgary Tower and square bearing the same name. What: This historic hotel from 1914 is part of Calgary's heritage and is the city's oldest and most luxurious of properties that back in the day cost a whopping 1.5 million dollars to build. 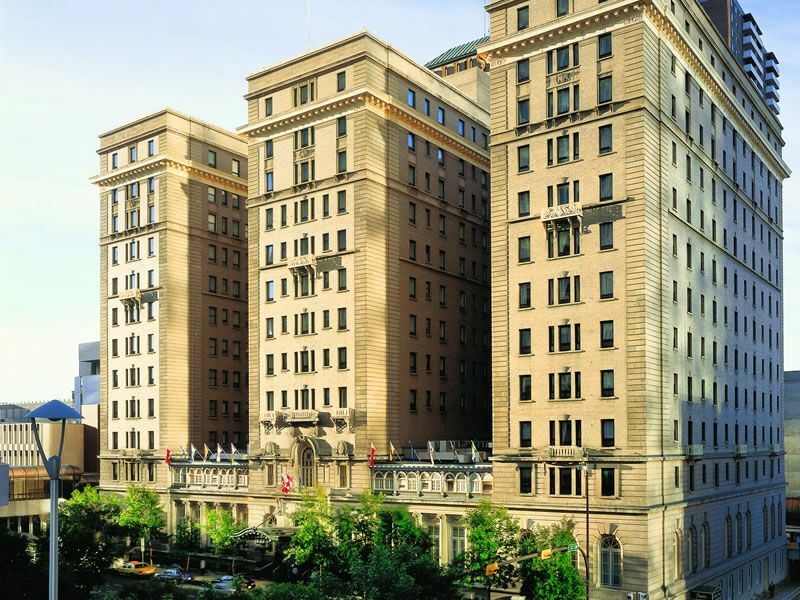 Built by Canadian Pacific Rail as a Fairmont flagship hotel, the Palliser was also one of the first Alberta premises to receive a licence to sell alcohol after prohibition ended in 1924, and has been letting the good times roll ever since. Highlights: A near $30 million make over in 2000 brought the Fairmont Palliser bang up to date to compliment the fully-equipped spa & health club, the Oak Room Lounge and the Rimrock Restaurant all of which go towards a most welcome stay at this Triple A Four Diamond award-winning downtown piece of VIP paradise. 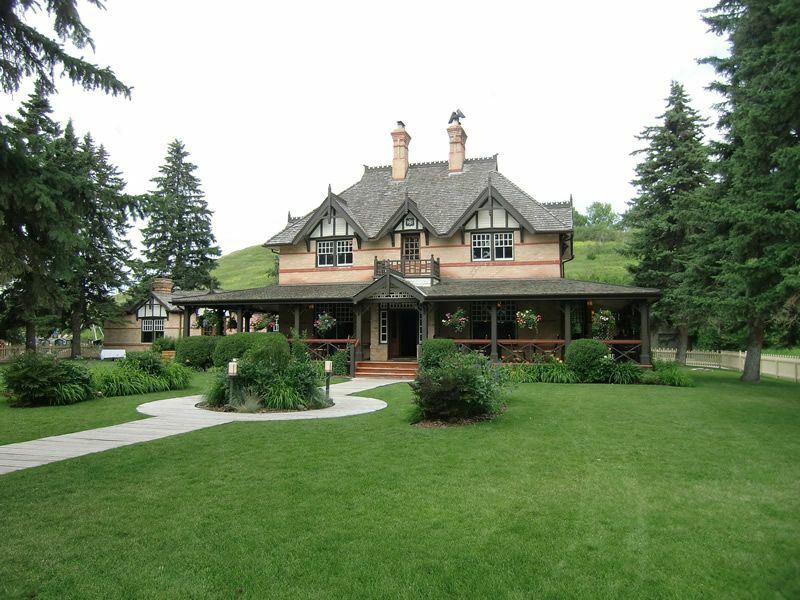 Where: Head out west of Calgary on the Trans-Canada Highway for just over 6 miles and you'll reach the rural community of Springbank, which is home to Calaway Park. 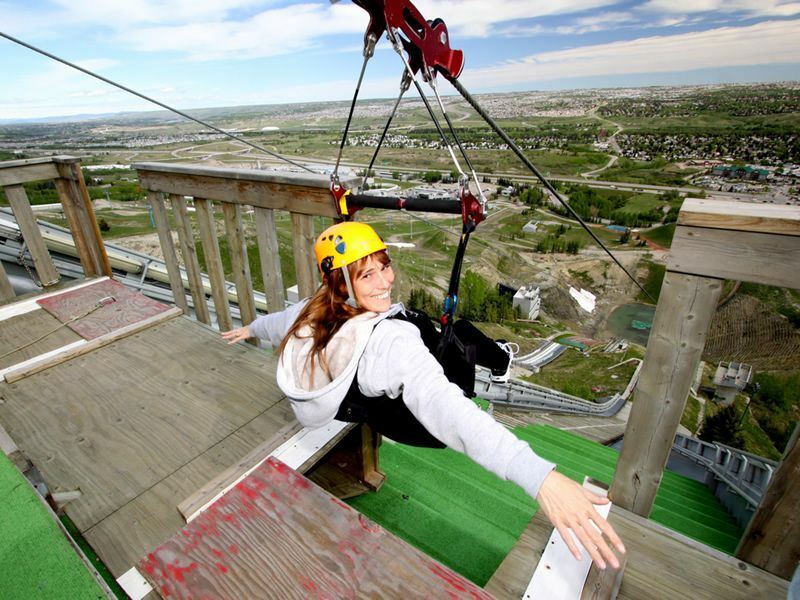 What: Calaway is the largest outdoor amusement park in Western Canada and perfect for families looking to scream as they go faster or just chill in almost 100 acres of parkland. There are currently just over 30 rides, 22 food stalls, and almost 30 games which adds up to a whole heap of awesomeness just outside of Calgary. Highlights: Numerous rides and 'coasters will get your pulse racing a little faster with Chaos, Storm and Vortex, just three of Calaway's best loved attractions. 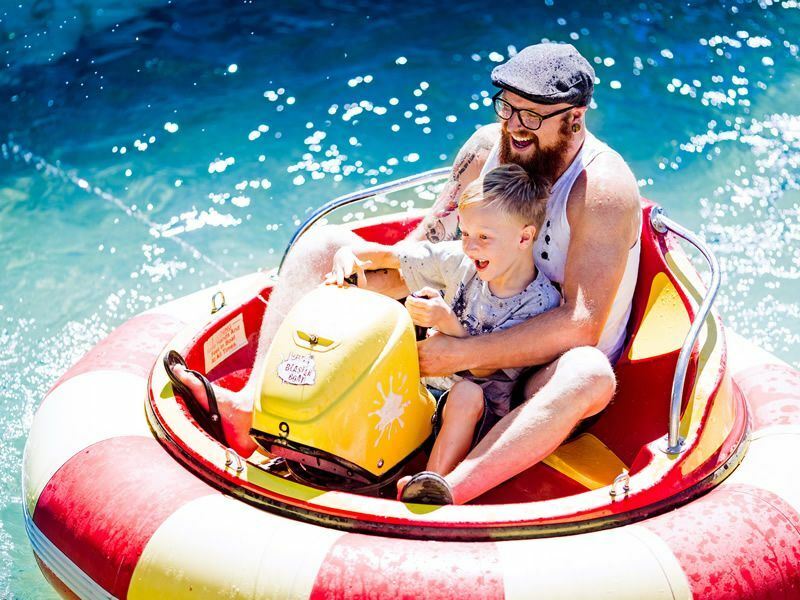 This is a really safe and fun venue for all the family with rides and entertainment for all ages held within green and attractive surroundings. Further highlights for children include: soft playgrounds, bumper cars, dune buggies and a mini-railway; for families: ghost house, gondola cars and old fashioned car rides; and finally, a few more thrills include: adrenaline testers, spinning cages and tilting chair swingers – wowsers! Where: Situated just southeast of 9th Avenue in the Beltline district, Stampede Park remains at its original site and can be accessed via the city's light railway. What: This 10 day rodeo and outdoor event spectacular is where Calgary's nicknames: Stampede City and Cowtown come from. 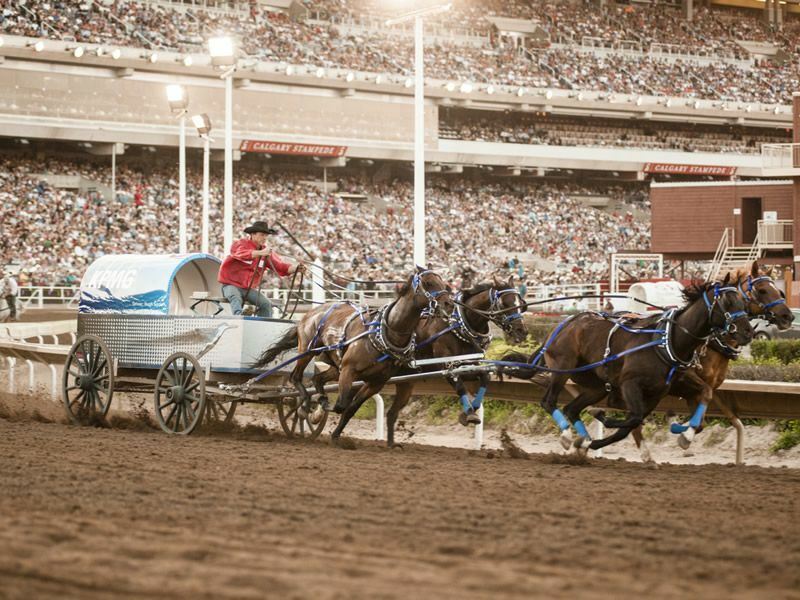 Considered to be one of the largest of its kind on the planet and attracting over a million cowboys, cowgirls and general visitors every year, the Calgary Stampede is integral to the city's cultural identity and a must if you're over in July. Highlights: The parade, the rodeo and the Rangeland Derby are all very exciting events to get you into the hat waving swing of things but take your time to check out some of the traditional leather making and metal smith demonstrations for a fascinating insight into life on the range, Canada style. A First Nation village is also erected during the festival and you'll find pancake parties, live music and a whole range of fun and games to keep everyone happy and entertained from morning till dusk. Where: Set on the southwest city limits of Calgary along the banks of the Glenmore Reservoir, this park occupies almost 130 acres of green and pleasant land. 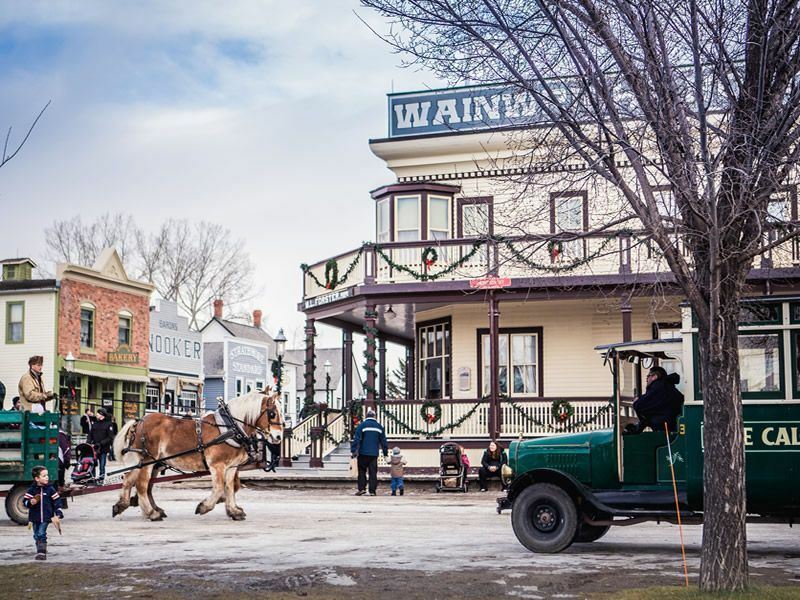 What: The largest open air heritage museum in the whole of the country, Calgary's Heritage Park showcases Western Canada's history from the 1860's to the 1950's presented in live and working conditions. Original preserved buildings, traditionally dressed staff, classic cars and horse drawn carts are all arranged across the park with numerous rail and old fashioned amusement rides making it a great day out for kids through to codgers. Highlights: A couple of fully operational steam locomotives usually catch the eye with original style stations offering passengers a ride into the past. The town square is also a great place to people watch or just soak up the old school ambience with a working bakery, smithy, hotel and restaurants all adding to the attraction of a good day spent outdoors.